A head line “39 years to get deemed conveyance” put me to thinking how difficult it is to survive for cooperative housing societies amongst several hawks who are eyeing at making a fast buck out of non-profit making cooperatives. It takes me back to the year 1844 in which a group of 28 artisans working in the cotton mills in the town of Rochdale, in the north of England facing miserable working conditions and low wages, organized the first cooperative in the world. Housing society management to day after 170 years appears to me like these 28 weavers. The managing committees of housing societies devoting free of costs their time voluntarily are treated so badly that those people are worst then troika of hawks – the Land owner, the Developer/Builder and the State Government, (the hand in glove Politicians & the Bureaucracy ). This is the latest success story of cooperative housing society in Jogeshwari (MUMBAI WETERN SUBURB).Thirty-nine years after they purchased flats in Jogeshwari, the Bombay high court has reportedly ordered the deemed conveyance to the Farhat cooperative housing society. Unearthing the ploy the High Court observed, “The suit has been filed without disclosing that a building having two wings, comprising around 60 flats, has already been constructed. The fact that Malkani Enterprises has virtually no rights remaining in the plot has been conspicuously kept away from the small causes court, and an order of injunction has been obtained against it,” and the judge added that making the order conditional “virtually made the grant of deemed conveyance ineffective”. The history of this housing society presents a well orchestrated design in vogue by the troika in place for tens of years. 1.The building was constructed in the mid-70s. 2.The developer failed to form a society. 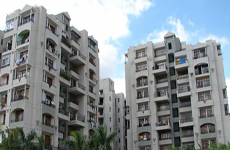 3.The housing society was set up by the flat owners themselves after 15 years. 4.The plot’s conveyance too was not granted. 5.In 2006, the society issued notices to the developer for failing to grant conveyance. 6.A criminal case was registered. 7.In 2012, the plot owners issued notices to the developer cancelling the monthly tenancy as arrears were not paid for over 20 years. 8.Subsequently, a suit was filed by the developers against the owners. The HC said prima facie there was collusion between the developer and land owners to stop the society from getting conveyance. The State cooperation Department which was always eager to suspend elected committees to install its own man in the sole management of housing societies observed silently. Is it a scene different from what in the year 1844 a group of 28 artisans working in the cotton mills in the town of Rochdale, in the north of England decided to do something totally unheard of. Is this another opportunity for cooperative housing society management to do something unheard of? some thing to take on the troika? Perhaps the only hope seems to be in judiciary taking pro-cooperative stance delivering quick compassionate judgments and this includes consumer protection forums. On the part of cooperatives a large number of them need to emulate such few dare devils like Jogeshwari’s Farhat cooperative housing society and defuse the hawks as soon as possible.